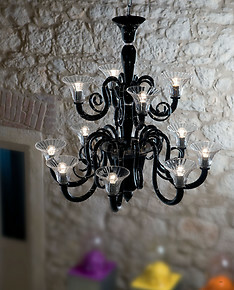 Red black colors chandeliers, for whoever has a personal stile and wish to enjoy life with intense everyday emotions. 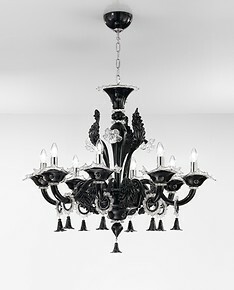 Get into the under the black or red chandeliers category, you will be surely able to find what you like, and don’t forget, any adjustment and personal change can be requested to us. 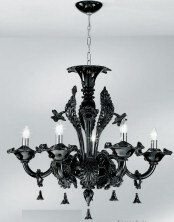 We will try our best to satisfy your test! 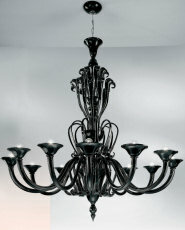 You need a Black chandeliers? 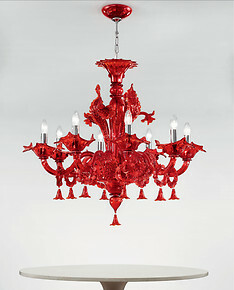 Red chandeliers? 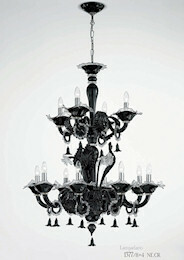 We have what you need! 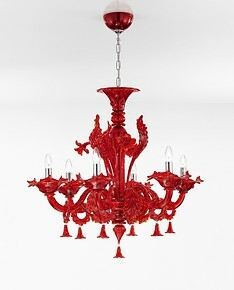 RED CHANDELIERS OR BLACK CHANDELIERS? Why do these products need a seperate category? Because the people who choose them are particular, they have a particular soul and a vision of diametrically opposite lives. 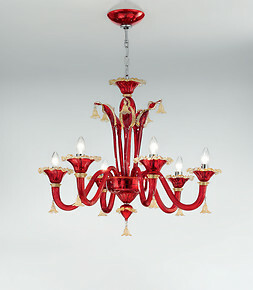 We are dedicated to these chandeliers made with the highest quality our hot-painted colors compared to painted products raise the quality on another planet. 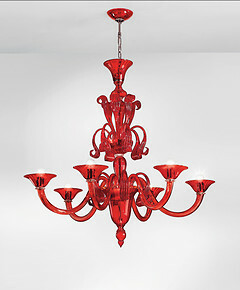 Drop between the red shades that change color depending on the thickness of the glass, passing from an intense red to a transparent red. 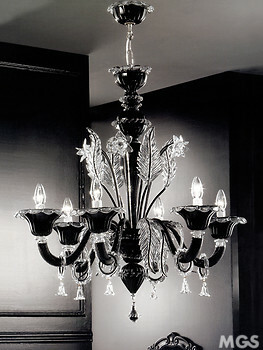 With regard to the black chandeliers you can notice the brightness and gloss above the varnished products that are simply opaque and fake. 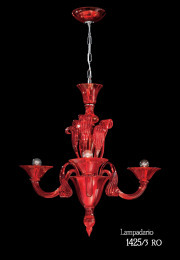 As for the decor, the red or black chandeliers enhance and complement especially the modern furnishings but also the fashion shops or the trendy bars or trendy restaurants. 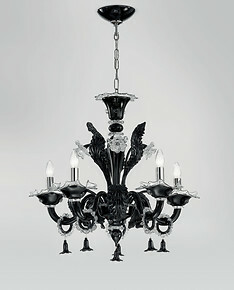 Great combinations with transparent furniture (chairs or tables) to give a major contrast to the eye. 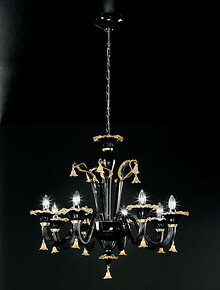 because our chandeliers do not go unnoticed and the eye is always remarkable and confirmed by our customers.